EDI 276 is used to send request for claim status and response for this request will be sent to the providers using EDI 277. 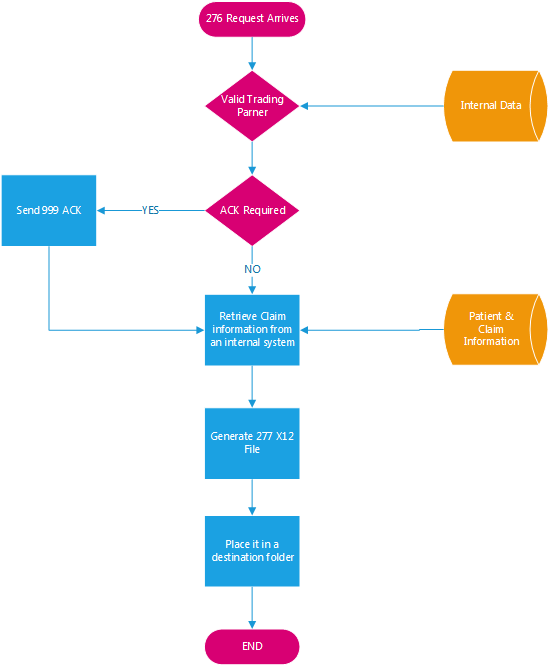 This article illustrates the flow involved at both payer and provider side. When provider side gets a 277, they have to process it and understand the claim status to take an appropriate action. 277 is a reasonably complex EDI specification. Our platform is capable of processing 277 and enables you focus on your business process. If you are provider IT or billing company working on behalf of many providers or a technology company providing revenue cycle management solutions to providers/hospitals, this platform can help. WHAT HAPPENS WHEN A PROVDER SENDS A CLAIM STATUS REQUEST (276)? Payer side has to parse 276 X12 file and apply their business process to generate 277. The flows likes this. WHAT HAPPENS ON THE OTHER (PROVIDER) SIDE WHEN 277 IS RECEIVED? When the provider side (practice or an hospital) receives 277 response from a payer, it needs to be parsed and analyzed to understand what is happening with a given claim. Do not try to reinvent the parsing (I am understating the work involved by using the word ‘parsing’. Lot of stuff happens here) technology. Consider buying a well proven solution. 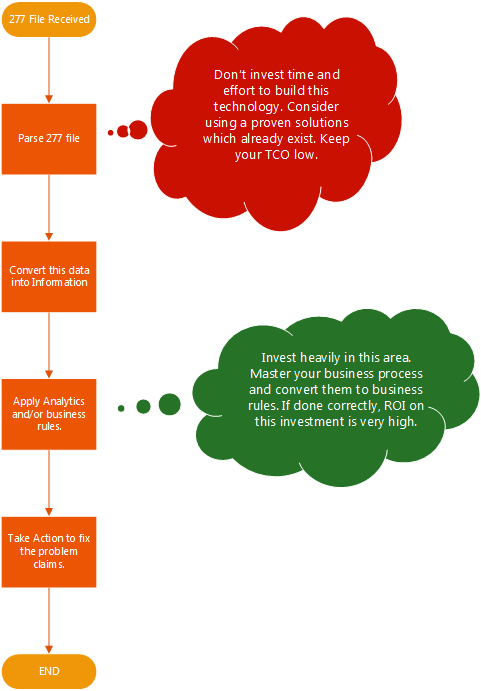 Instead, focus on your business process which will target the bad claims and fixes them. This should be your sole focus.